One of the greatest strengths of the OneVoice Movement is that it is made up of mainstream nationalists from each side. 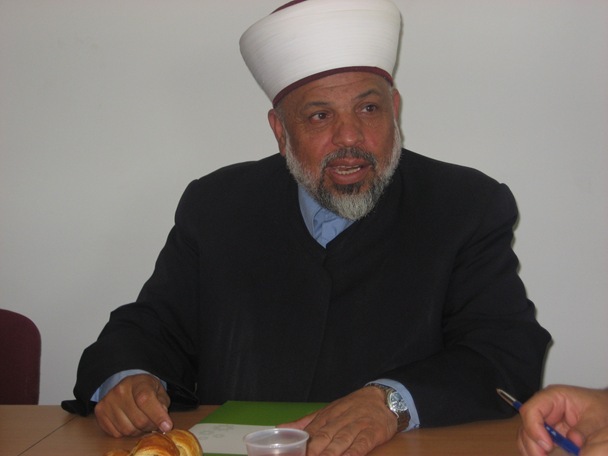 The Chief Palestinian Islamic Justice, Sheikh Taysir al Tamimi, a fervent Palestinian patriot, is the equivalent in Palestine to what in Israel would be a merger between the Chief Rabbi AND the Head of the Israeli Supreme Court. He has been on our Board for several years now, serving on the same international board as Jewish and Israeli religious heavyweights such as Dr. Jonathan Sacks, Chief Rabbi of the United Kingdom, Chief Rabbi David Rosen, President of the IJRCC, and Rabbi Nissim Dahan from Shas. When a militant extremist tries to undermine the credibility or legitimacy of the OneVoice Movement, staunch nationalists and religious authorities on our Board lend important backing to our efforts. 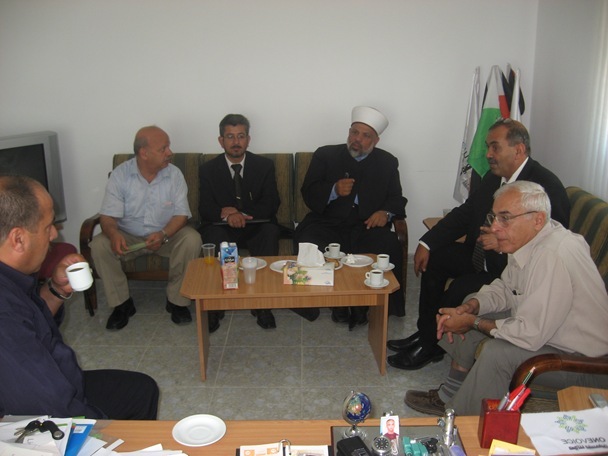 That is why it is particularly significant that Sheikh Tamimi has agreed to provide a blessing at the OneVoice Summit in Jericho on October 18th. Sheik Taysir Tamimi is the liar. His own people stated, in 1923, that the Temple Mount was called that because of Solomon’s Temple which once stood there. Not some Arab/Muslim named, but the King Solomon of Israel. Maybe the Sheik needs to check his facts before he opens his mouth. Oh, wait, never mind, none of the Muslims do. They deny the Holocaust happened, they deny that Israelis have a historic claim to Israel (disregarding their own history and massive archaelogical evidence), they deny their religion is violent and abusive, and they deny their eligion calls for the death of anyone who isn’t Muslim. What can you expect from someone like the sheik when this is what they are trained to do from birth? This time with the corrections in place. 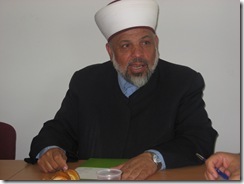 Sheik Taysir Tamimi is the liar. His own people stated, in 1923, that the Temple Mount was called that because of Solomon’s Temple which once stood there. Not some Arab/Muslim named that, but the one and only King Solomon of Israel. Maybe the Sheik needs to check his facts before he opens his mouth. Oh, wait, never mind, none of the fundamentalist Muslims do. They deny the Holocaust happened, they deny that Israelis have a historic claim to Israel (disregarding their own history and massive archaelogical evidence), they deny their religion is violent and abusive, and they deny their religion calls for the death of anyone who isn’t Muslim. What can you expect from someone like the sheik when this is what they are trained to do from birth?